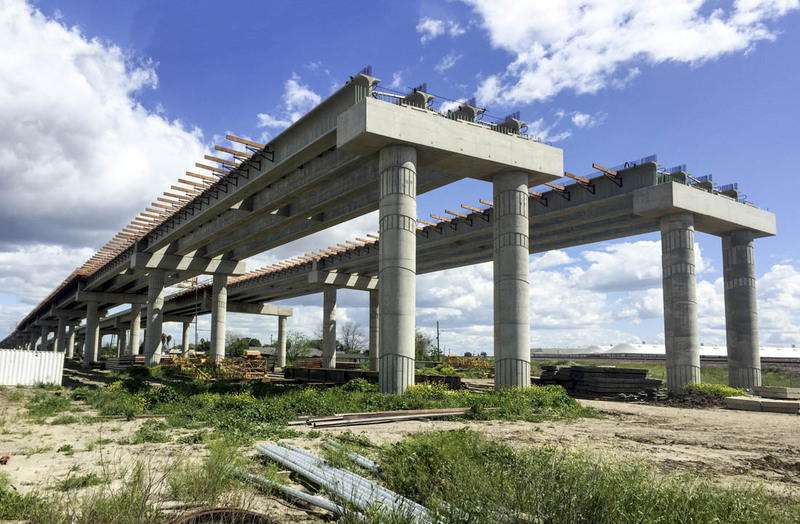 The State Route 4 Crosstown Freeway Extension Project will construct about one mile of elevated structure spanning a residential area of Boggs Tract and the Burlington Northern Santa Fe Railway Corridor in Stockton, California. 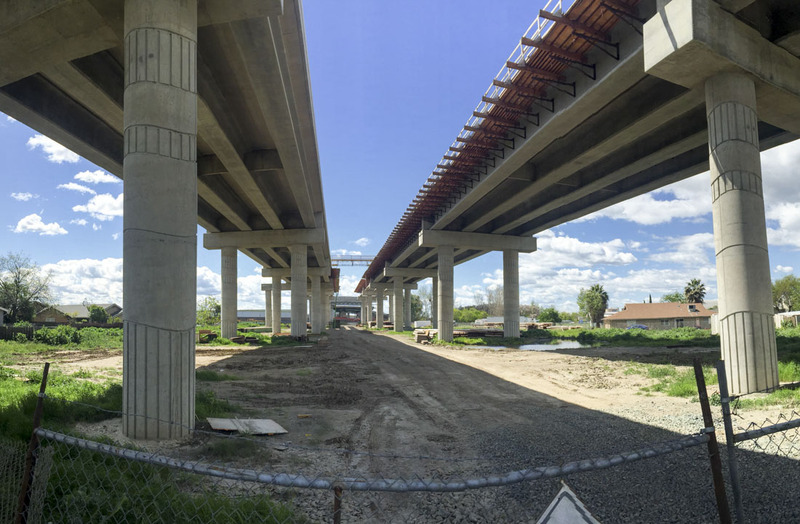 Upon completion of construction, the project will provide significant relief to the truck traffic now passing through residential neighborhoods to and from the Port of Stockton. 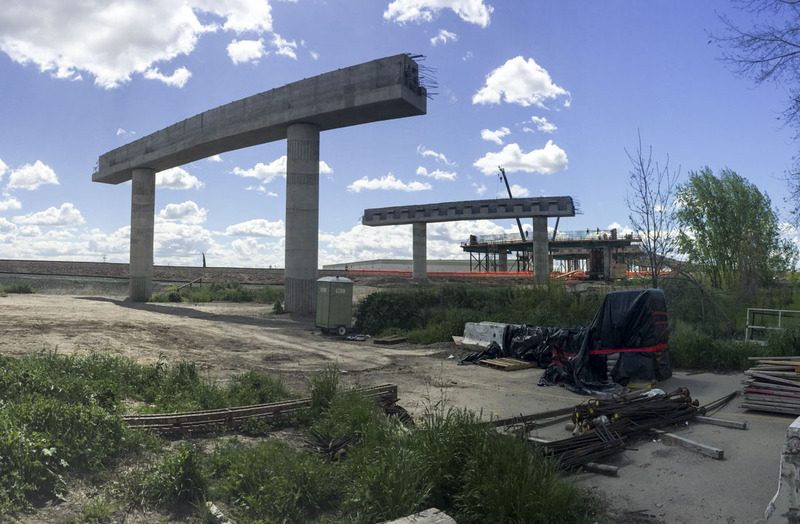 The elevated structure will be supported by embankments from north of Navy Drive to just south of the Burlington Northern Santa Fe Railway corridor, and an elevated viaduct structure is planned to span the railway corridor. Navy Drive will also be slightly realigned and widened between Fresno Avenue and the Burlington Northern Santa Fe Railway underpass. Kjeldsen, Sinnock & Neudeck, Inc. (KSN) was retained by Rajappan & Meyer Consulting Engineers, Inc. to provide the surveying and mapping, right-of-way engineering, and drainage design services for the PS&E phase of the project. 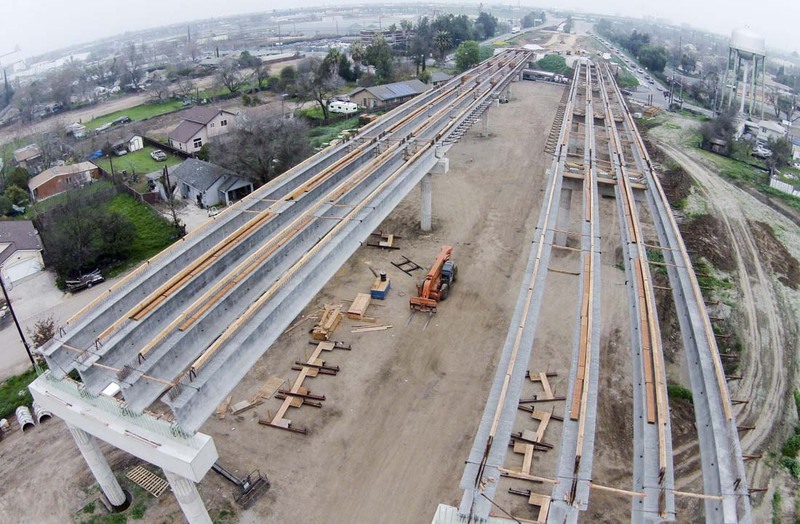 KSN’s services also included coordination and acquisition of railroad right of entry permits, rail surveys, Caltrans Appraisal Mapping and descriptions for permanent acquisitions, temporary construction easements, and resolution of necessity documents.